Looking as gorge as ever, Cheryl opened up about how her life has moved on following Ashley’s actions as she posed for a chic shoot in Glamour magazine. The interview dwells not only on her love life but also on weight issues and views on the internet. All this obviously accompanied in fun and chic outfits in the pages of Glamour! 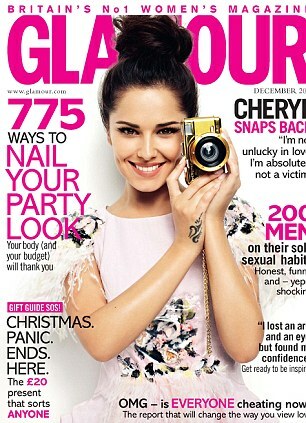 The full interview with Cheryl appears in the December issue of Britain’s Glamour magazine, on sale 1st November.